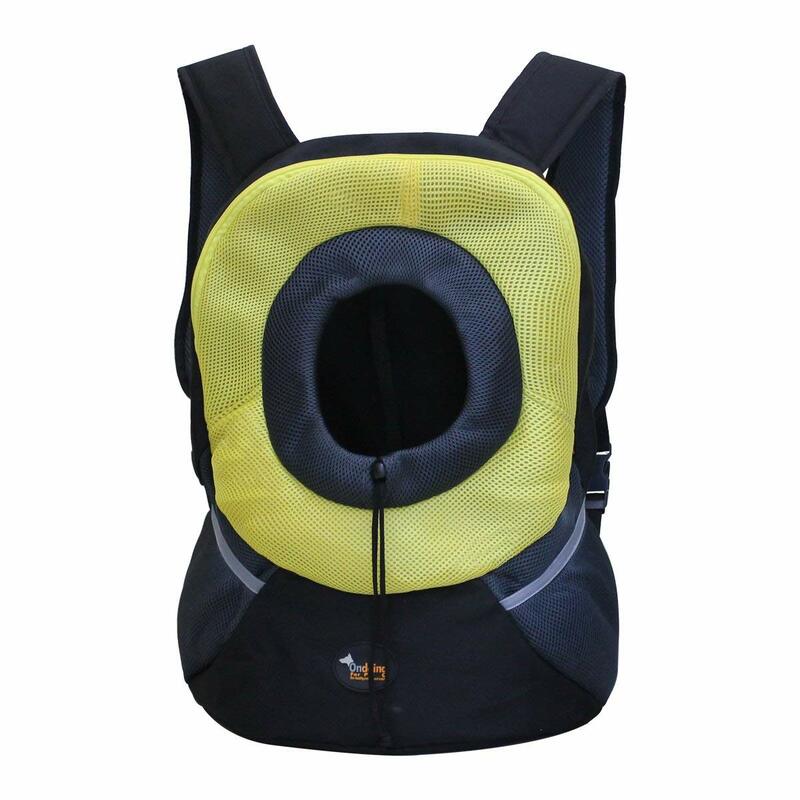 Material: strong Oxford cloth and soft Mesh fabric for long-lasting durability and breathability. 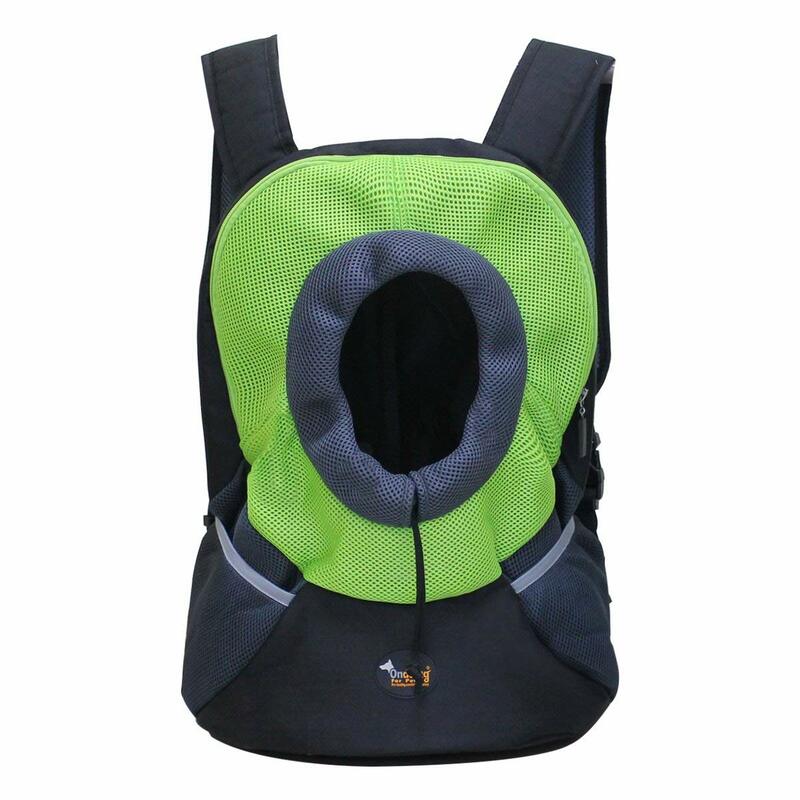 Top zipper opening for easy access. 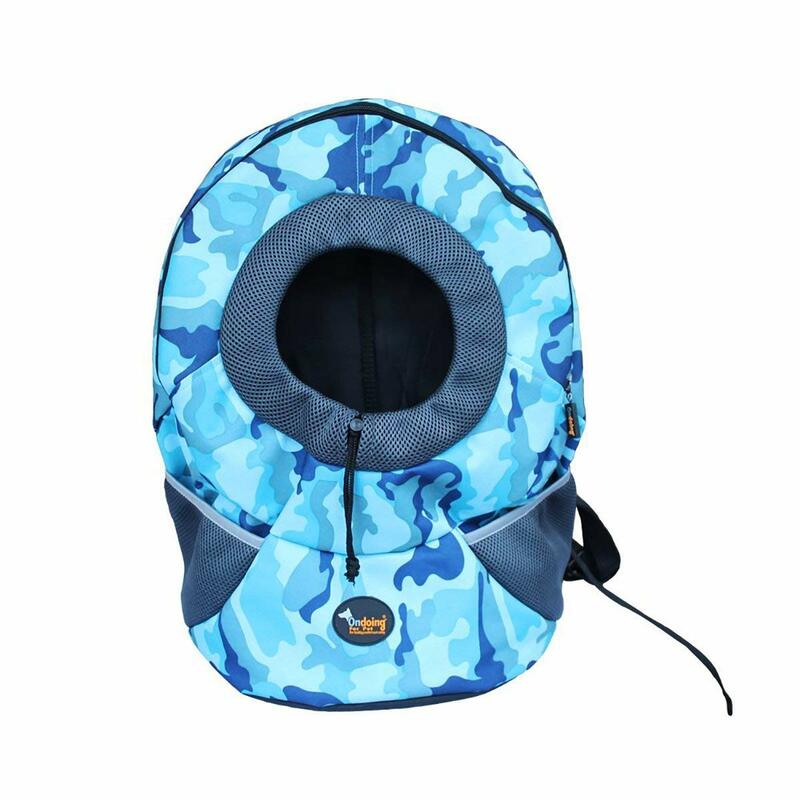 Head out Design: convenient drawstring---adjustable according to your pet’s size. 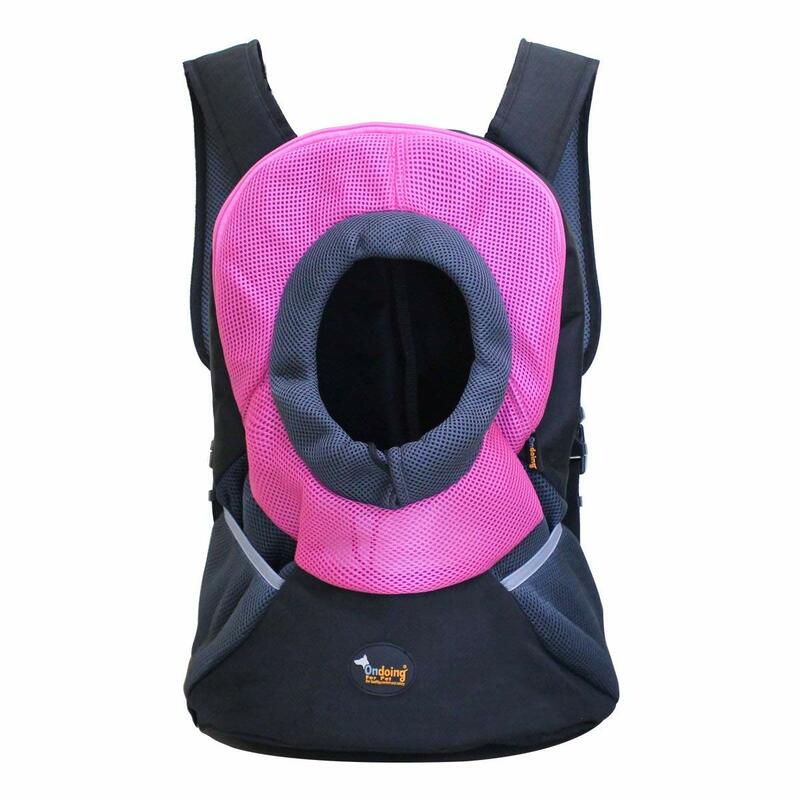 7cm wide padded shoulder straps provides extra comfortability and softness even after long-time carrying. 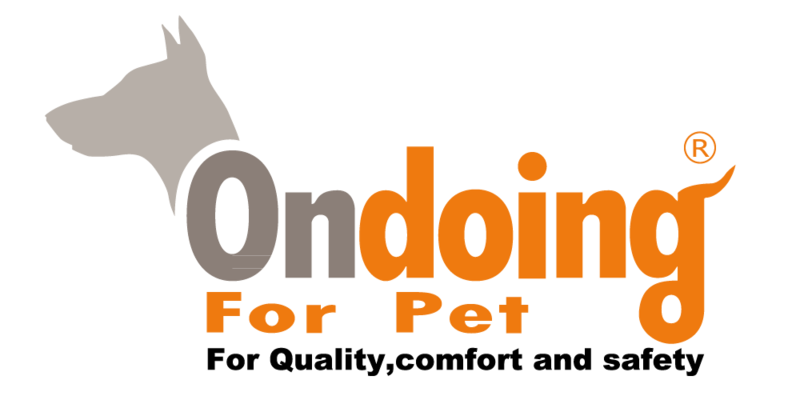 Side pouches to store essential pet supplies. 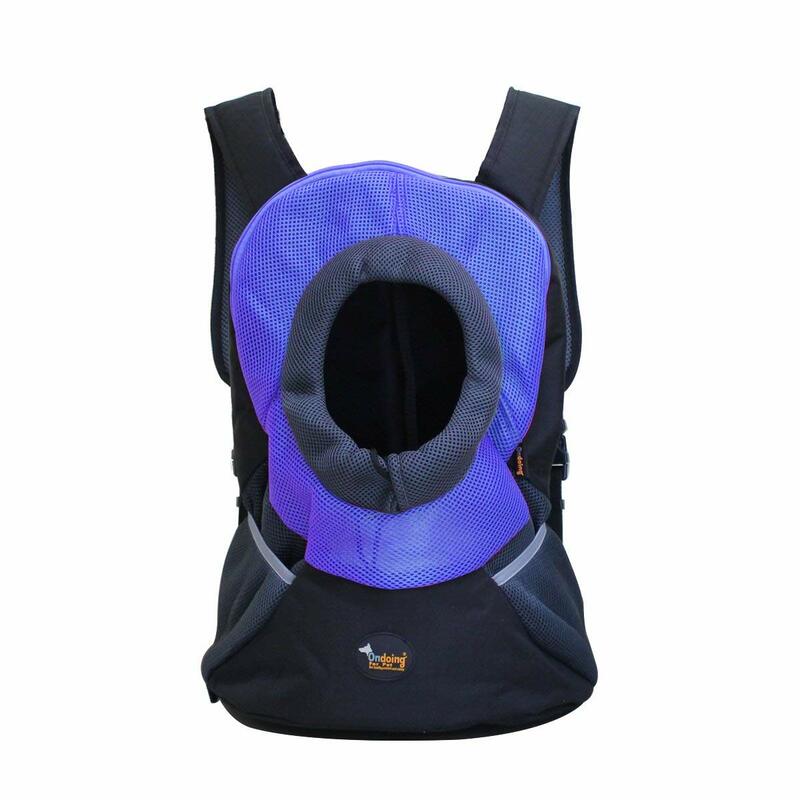 Easy to use: adjustable straps, quick-release buckle and spring clasp inside to attach harness/collar. Hands free design. 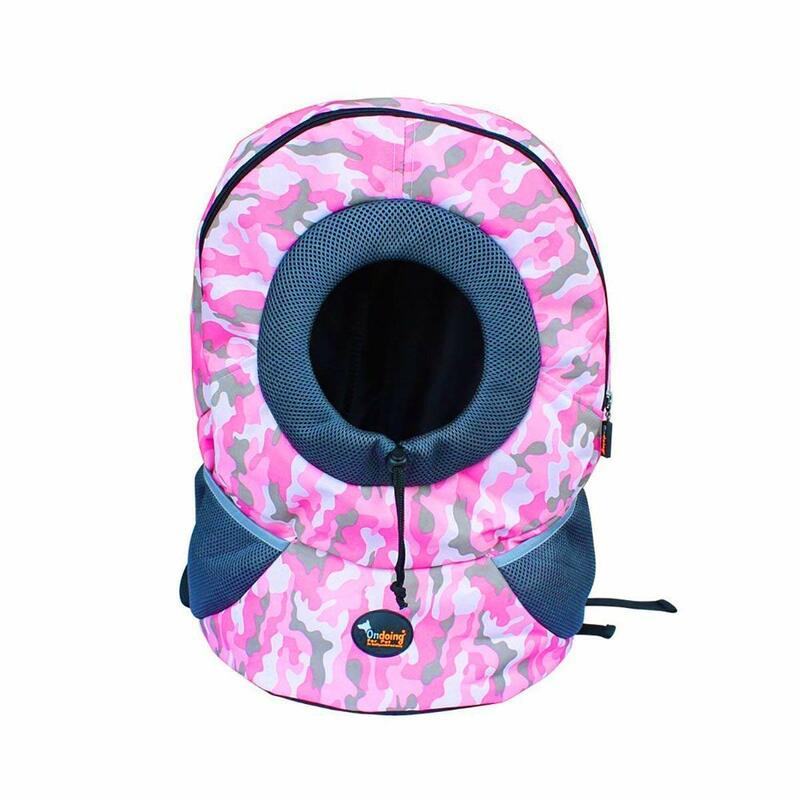 Great choice for walking, cycling, traveling and other outdoor activities with your pet.